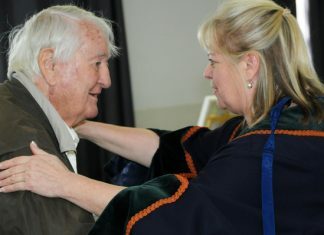 Casey mayor Geoff Ablett is saddling up to help save a 60-year-old Clyde North riding school from soaring council rates. 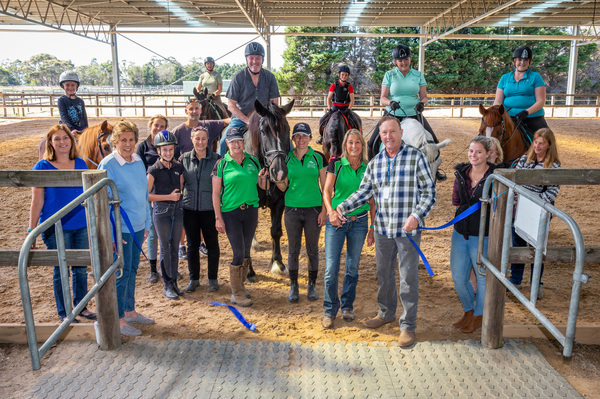 The Oakwood Riding School’s extensive paddocks, stables and under-cover arena at Smiths Lane are surrounded by suburban sprawl. The once rurally-set school is on the fringe of the urban growth zone, 100 metres from the nearest estate. If rezoned into the UGZ, its already hefty $12,000 rates bill will exponentially skyrocket. Oakwood general manager Sharyn Watt said the not-for-profit centre may be forced to pack up and move out of Casey. 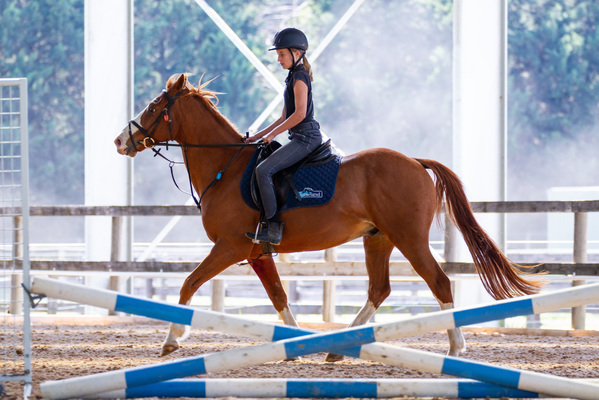 Ms Wyatt says it’s important to keep riding opportunities so close to home for up to 100 children and riders who live in Casey and greater Melbourne each week. The school also keeps and agists about 60 horses, plus 20 school ponies. Cr Ablett said Casey can’t lose what is the “jewel in the crown” of its great equestrian industry and traditions. One method may be to lobby the state’s Planning Minister to zone the site as farmland, or otherwise classify Oakwood as an educational facility. The school with its expert instructors was a vital pathway for children to find a future in the sport, Cr Ablett said. Whether as an Olympic rider, jockey or in any of the other equestrian professions in Casey. 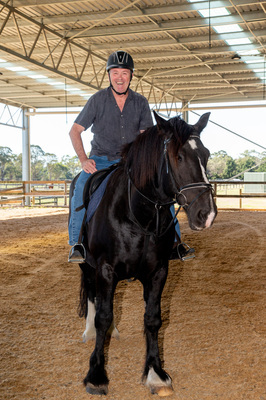 It is a key plank in Cr Ablett’s vision for Casey to be a more significant equestrian centre, complementing the state equestrian hub in Werribee. 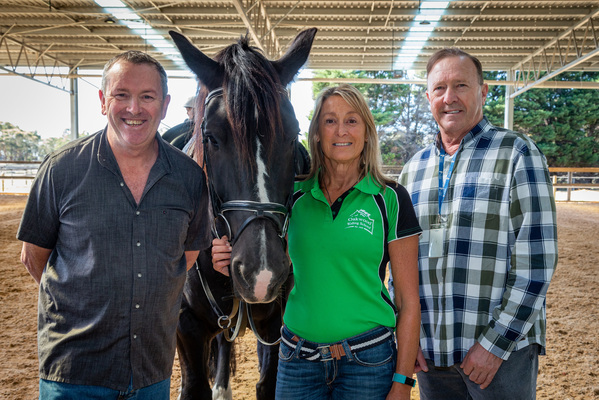 Largely volunteer-run, Oakwood recently poured its precious funds into a new outdoor arena roof, state-of-the-art sand and fibre surface, water tanks, LED lighting and a sprinkler system. “If you saw this facility, you wouldn’t want to get it knocked down for houses,” Cr Ablett said. Urban development has chased Oakwood from previous homes at Waverley, Dandenong North and Narre Warren South. It settled on 100 acres in Smiths Lane 12 years ago. Next door at the time was Minta Farm, an apple orchard, Hillcrest Christian College and countryside. The riding school has already successfully lobbied against a Thompsons Road extension, which threatened to bisect the property. The road now cuts 10 acres off the edge of the school. The school, with its unique lessons for children, is worth fighting for, says Ms Wyatt. Such as learning to look after and take responsibility for the care of a horse. Most of all, horses are a bonding experience. They’re a gentle 500 kilogram giant commanded by riders a tenth of their weight. “It’s growing in popularity, absolutely.